“Dre’ Barnes shares a passion for the art & technology and public service similar to various acclaimed dignitaries associated with Atlanta including Ethel Waters and Dr. Martin Luther King, Jr. Dre’ began pursuing his passions from a very young age by obtaining formal education in art and independent sketching. This rudimentary training served as the catalyst for his ultimate proficiency in web development and graphic arts. Presently, Dre’ is adept in a plethora of technological applications and programming languages. 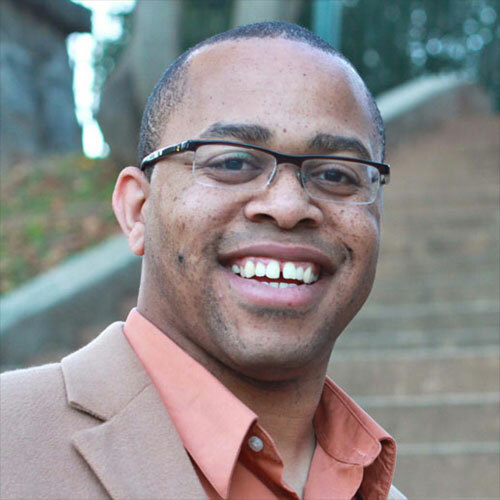 Currently, Dre’ is the Technology Director at !mpact Church in Atlanta, GA and a software engineer at Gokit. Dre’ and !mpact church were featured in a CNN segment called “Social Networking In The Church” and “Hashtags & Hallelujahs – Wired In The Pulpit” by huffingtonpost.com.